Solar has always been considered one of the best sources of alternative energy. On top of being able to generate electricity out of a free resource – sunlight – the process is also the most eco-friendly. 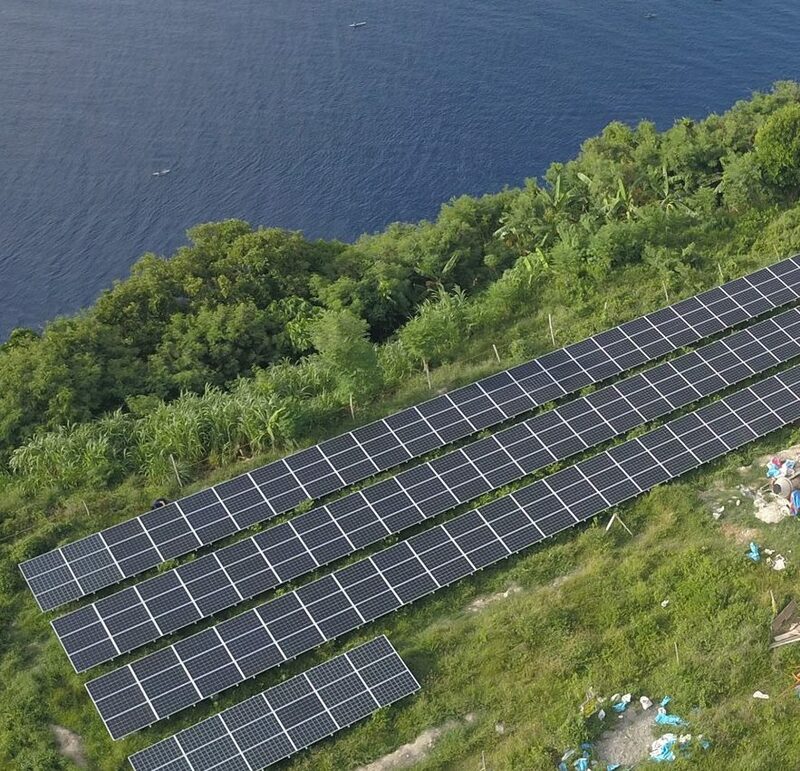 For a long time, however, people have viewed solar energy as a luxury that is available only to affluent individuals and corporations, mainly because of the cost of solar power equipment in the Philippines as well as the relatively slow return-on-investment.Thankfully, in recent years, people’s perceptions and opinions about the matter have started to change, and all for the better. This significant shift is due to the many advancements and developments that the solar industry has achieved. Over the past two decades, the price of solar panels in the Philippines has been reduced more than seven-fold! The rate of return-of-investment is also at its fastest now, with people being able to get their money back within five to ten years of use. All this has led to the demand for solar power systems and solar power equipment in the Philippines to skyrocket and, consequently, for manufacturing volume to increase. With the increase in demand, of course, comes the entry of organizations looking to bank on the rising popularity of solar energy. These days, you’d easily be able to find solar power equipment in the Philippines. So easy, in fact, that it almost feels as if the market is incredibly saturated when it really isn’t. While it’s nice to have options, it does make the search a little harder, especially if you possess little to no knowledge about the products. We have made this article specifically for this purpose – to educate and inform those who are unaware. 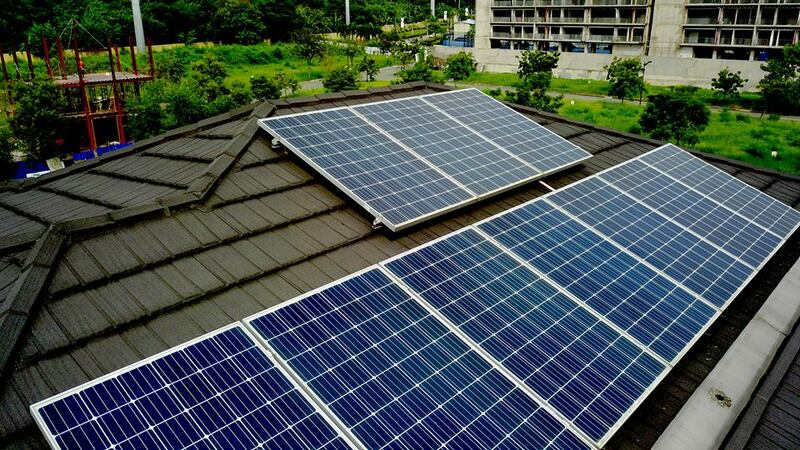 We’ll be providing you with an overview of the different solar power equipment in the Philippines plus a few other tips on maintenance and purchase, so read more to find out! Basic understanding of solar power systems i.e. how they work and the benefits they offer is important to choose the right solar power equipment for your home and/or business. This is why we’re going to briefly discuss the matter before anything else. Many think that the concept is complex and difficult to comprehend, but we assure you that it’s not. Once broken down, the whole process is actually quite simple and easy to understand. There are materials that produce electricity when exposed to enough sunlight also called semiconductors. A great example of this is silicon which, coincidentally, is one of the main materials in solar panels – the main component of solar power systems. We’re going to go down – or up – to molecular levels in order to explain the next part so bear with us. Basically, when the light hits an atom, which is the most basic form of matter, it is absorbed by one of its electrons. The absorbed energy then excites or boosts the electron enough to kick it loose from the atom. After it’s gone, the electron then moves within the material’s crystalline structure. Alone, this means nothing and doesn’t produce energy. However, scientists have found a way to exploit this peculiar movement by creating two layers of materials specifically named N-type and P-type. An N-type material is “doped” or contaminated with chemicals that allow it to possess lots of extra electrons. The other, P-type, is then contaminated with a separate agent that makes it want to absorb or gain more electrons. These materials then create a voltage difference between the two which, once connected to a proper circuit, can be used to power appliances and devices. In the most basic form, sunlight hits the atoms in the panel’s materials which is then absorbed by the electrons. After absorption, they get excited and move around, essentially creating small and limited amounts of voltage or current. Most panels are made up of smaller modules and even smaller cells that help create more electricity — and that’s how solar power is made! There are many benefits to using solar energy in the Philippines — the biggest one being its impact on the environment. Unlike other alternative forms of energy, solar power doesn’t produce any harmful gases, contaminants, or noise. Even maintenance and production of parts and components contributes very little to the ever-worsening state of our world. There’s also the fact that the sun’s energy is accessible almost anywhere and nearly every day. At this point, there’s truly no reason not to consider making use of solar energy except maybe for the slightly high price. Simply put, the downsides of solar are almost non-existent while the benefits are absolutely staggering. 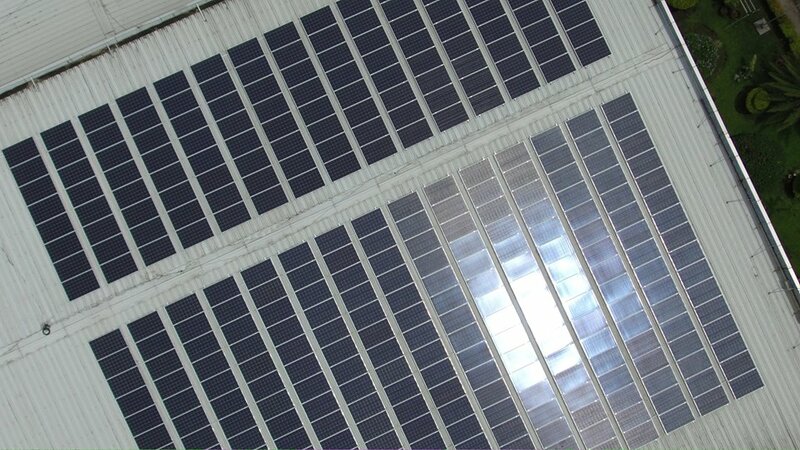 Solar cells, or solar panels as they are more commonly known, are one of the main components of a solar power system. They are responsible for harnessing and storing the sunlight’s energy. There are many types of solar panels, all with varying energy outputs. The average is about 250 watts but it can range anywhere from 75 to 350 watts. That’s a relatively small amount which is why a handful of panels is necessary to power a single household. Inverters are necessary to convert the direct current produced by solar panels into the alternating current needed power devices. There are two kinds of inverters, namely: central and micro. Central inverters are normally used for solar power systems that have a large solar access and convert the power produced by all installed solar panels. Microinverters, on the other hand, are assigned to individual panels and are normally used when users want to constantly monitor and analyze each solar module. It is possible for the output of the solar power system to fluctuate since not all panels receive an equal amount of sunlight — hence the reason why devices aren’t connected to a single panel. If they were, any shortage of output would prevent the device to properly sustain the operation. For this reason, the electricity produced by the entire system is stored in a battery – a part which will be discussed later on. Before storage, however, the power first travels through the charge controller where it is regulated to match the specific voltage and current that the battery can handle. Racking systems are the parts that keep the panels in place and support the weight of the components. They are important for panels that reinstalled on the roof or mounted on the ground. These also come in a number of types. The three main ones are ground mounts, ballasted roof mounts, and flush roof mounting. As the name would suggest, ground mounts are attached to the ground and are used to install panels on the ground. The other two are used for roof installation and allow for minimal penetration and a more aesthetically pleasing appearance. The use of these roof mounts allows for a low-profile installation that still preserves the roof’s basic design. We’ve already mentioned it before but the battery storage is where energy is kept until it is needed. This is one of the most expensive parts in a solar panel, but for good reason. Any surplus energy stored in the battery can be used in times when electricity isn’t available, for example, during a blackout. It can also be sold back to the grid to earn some extra money, as long as you obtain permission from your local electricity provider, of course. Clean the panels every now and then and remove any dirt or residue that can block the material from absorbing sunlight. You might not even have to do this often because the rain can take care of it. However, it hasn’t rained for a while and you suspect that the components are getting dirty, then it’s best to take matters into your own hands. Clean other components too because they are just as important. They should all be free of dirt, grime, and other harmful substances because that could cause them to deteriorate and corrode. Once that begins, it’ll be hard to reverse the process so it’s better to prevent them from happening in the first place. Check for any damage like cracks and dents. The smallest dent in a solar panel can alter its power output significantly and hinder energy production; the same goes for other components. You might not get the best power output from your components, leading to smaller amounts of electricity being stored and used. Watch out for signs and symptoms. You should know how the solar power system is supposed to function and eventually be able to tell when something goes wrong. Once anything falls out of place, inspect your system immediately and/or contact the experts. Have professionals inspect the system occasionally. While you can check the output of your solar power system using a multimeter, it’s better to ask for the help of professionals every once in a while because they’d be able to pinpoint specific problems – internal or external – that may need some fixing! These are the basic maintenance tips for solar power equipment in the Philippines. It is important to do this regularly in order to preserve the productivity and efficiency of your solar power system and have them last long enough to make your investment worthwhile. Determine the amount of power you need and purchase just enough panels to provide you with that, with enough allowances, of course. There is no need to install twenty panels if you only need ten because that would just be unnecessary. Remember that there are different types of panels, racking systems, and inverters and you need to choose what fits your purpose. Compare costs between providers, but just don’t base your decision on that. Always remember that expensive doesn’t always mean better and learn to factor in other aspects. If you can do this, you should be able to get the best solar equipment without having to break the bank. Purchase from a dependable organization that is knowledgeable in the field of solar energy. It definitely is in your best interest to do business with those who have proven themselves as pioneers and experts in the field. 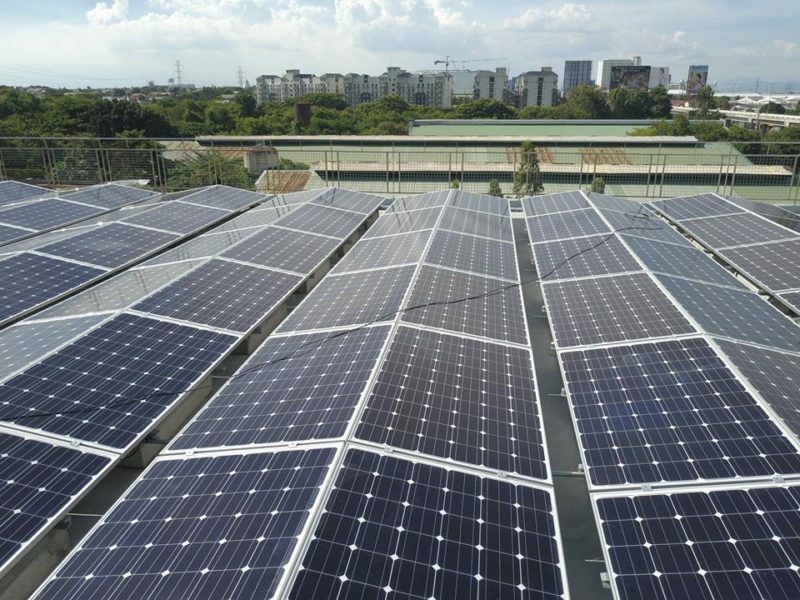 In a nutshell, when looking for solar power equipment in the Philippines, make sure to consider the intended purpose, cost, and credibility of the supplier. If you can properly assess all these things, you should be able to end up with the perfect solar power system for your needs! Solaric: The Number One Provider of Solar Power Equipment in the Philippines! Among the many providers of solar power equipment in the Philippines, Solaric is, without a doubt, at the very top. We have been in the business for almost 8 years and are completely dedicated to providing the people with sustainable energy systems that are economically sensible and environmentally sound! We promise only to provide the best value to our clients and help everyone reduce their power bill with the use of proven and tested PV technology. Rest assured that you won’t be able to find anyone else as driven as our organization. 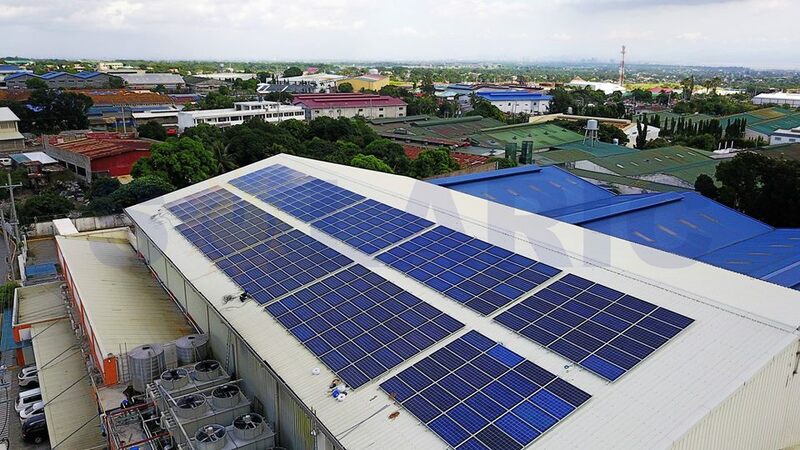 If you want to find out more about our services or are interested in purchasing high-quality solar power equipment in the Philippines for your very own solar power system, then head to our page! The house you see here has a negative monthly utility bill. A typical Solaric home will install ~500Wp (2 solar panels) to ~5kWp (20 solar panels) and will save thousands off their monthly bill.